Last week, I wrote about the Crow’s Nest at Tower House on London Road in Brighton. This week’s column features a different Crow’s Nest – this time it’s slightly higher and not so local. At 170m and 30,000 tonnes, the Portsmouth Millennium Tower was always going to be an ambitious project. In keeping with millenium tradition, it was finished several years late and massively over budget. 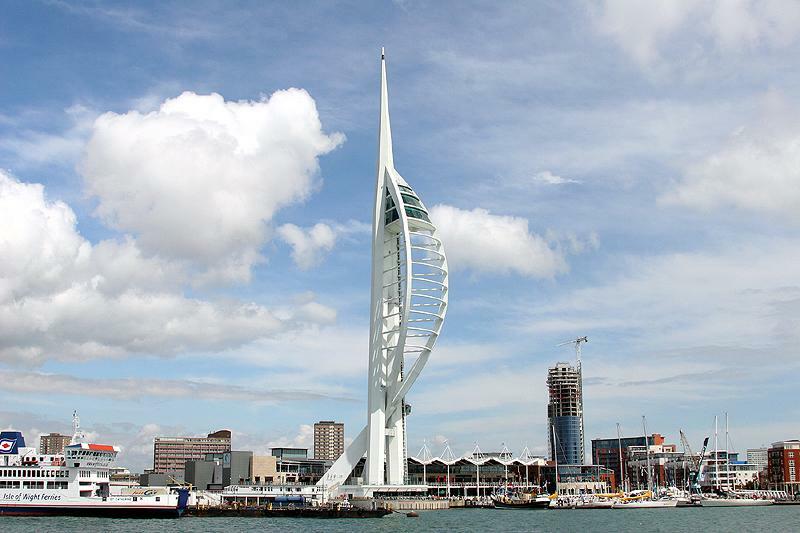 It opened in October 2005 as the Spinnaker Tower at a cost of over £35.6 million. To top it off, on opening day, its project manager, David Greenhalgh, was stranded in its troublesome external lift (also broken when I visited!) for an hour and a half. It is part of the Gunwharf Quays development on the site of a former Royal Navy shore establishment called HMS Vernon. Portsmouth itself is an island city with a population of 189,000 making it slightly smaller than Brighton & Hove which has a population of 244,000. The attraction of the place certainly does not arise from its terraced and, quite frankly, boring housing stock. Instead, architectural visitors are principally drawn to its well-engineered naval structures with menacing turrets, indestructible walls and thick doors – most of which can be seen from the Spinnaker Tower. It goes without saying that the views that the Spinnaker provides across and around the historic Portsmouth Harbour are truly breathtaking. Seafaring readers will know that a spinnaker is a usually triangular sail carried by a yacht as a headsail when running against the wind which is reflected in the Spinnaker Tower’s design. Two white, sweeping steel arcs give the tower its distinctive sail character in a similar fashion to the world’s tallest hotel, the Burj al-Arab in Dubai. However, the Burj al-Arab, which claims to be a 7* hotel (the scale only goes up to 5*! ), is almost twice the size at 321m. 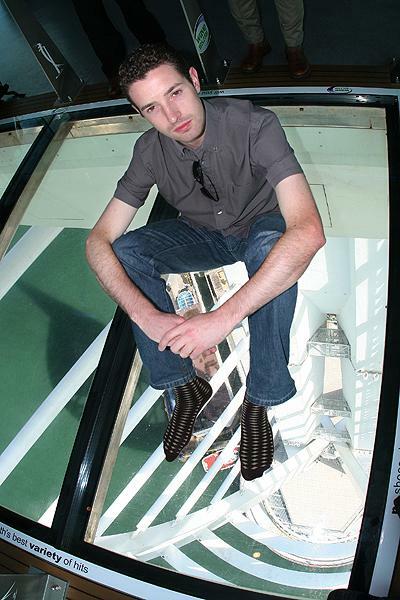 A lift rises quickly to the first of the Spinnaker’s three viewing floors where Europe’s largest glass floor is situated. The open-topped third floor provides the best views and, at 110m above ground level, is known as the “Crow’s Nest”. The journey up the Spinnaker has certainly raised my awareness of the benefits that the proposed Brighton i360 could bring to our area. Work is due to start on it shortly and at a planned 172m, the i360 would be just 2m taller than the Spinnaker. This must have been deliberate.